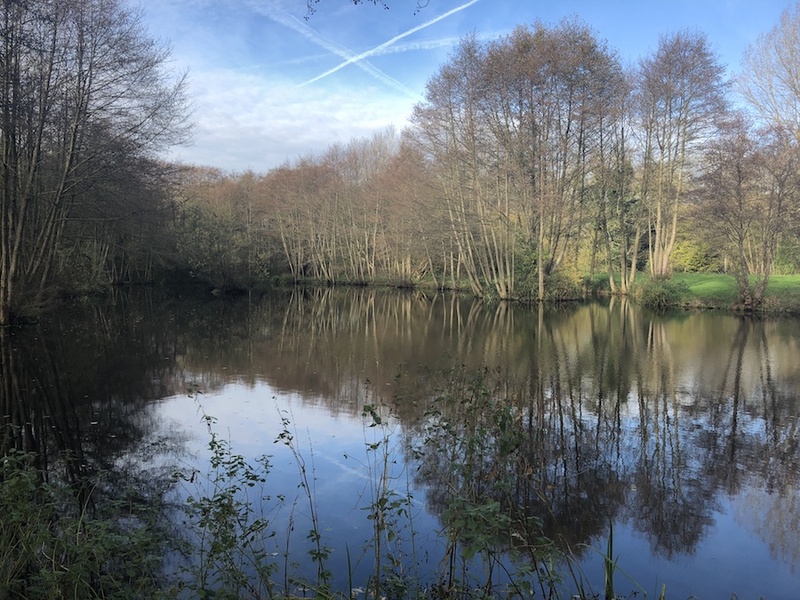 On site at Tillingbourne Farm and Smokery you’ll find Frog Island Fishery. 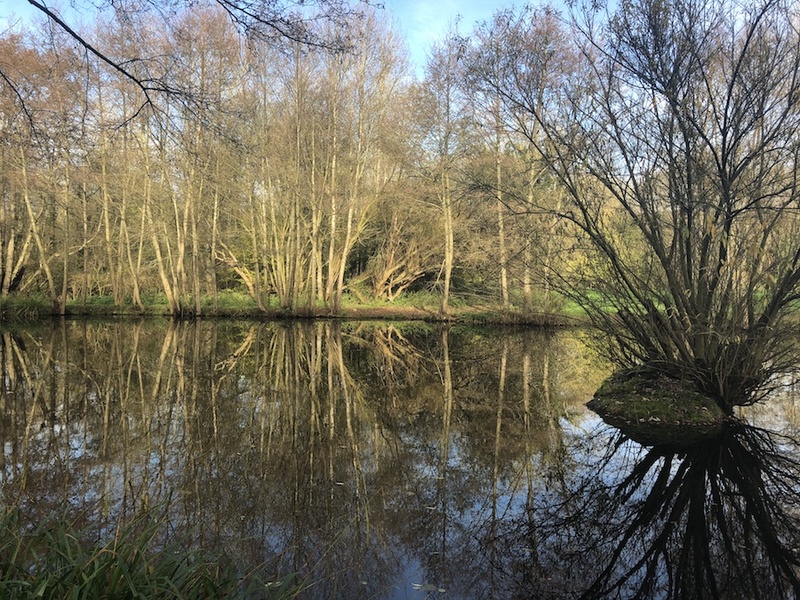 The lake is a one acre coarse fishery set in beautiful and peaceful surroundings, sheltered away from the rest of the site. The lake is extremely well stocked with carp, bream, roach, rudd, perch and tench. The fishery benefits from being fed with water from natural springs, hence it fishes well in winter and extremely well in summer. The largest fish reported so far is a mirror carp weighing 27 pounds and a common carp weighing in just under 18.5 pounds. 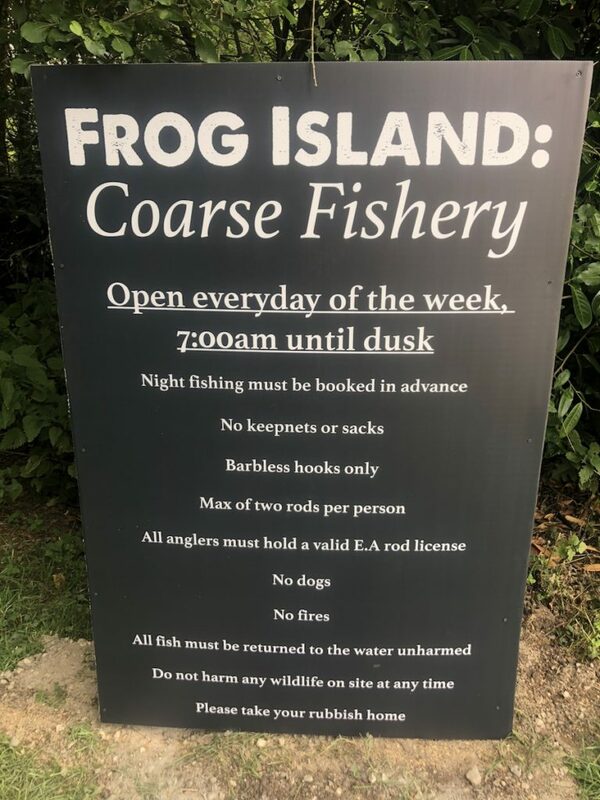 We do not have any matches at Frog Island, so you’ll never have to worry about being turned away. Frog Island Fishery is ideal for the elderly or disabled, offering on-site parking. The lake is available for day ticket fishing and night fishing. Night Fishing: £25 for 24 hours, prior arrangement only. On-site toilet, hot and cold drinks, parking. We are very strict with security at Tillingbourne Farm and Smokery. 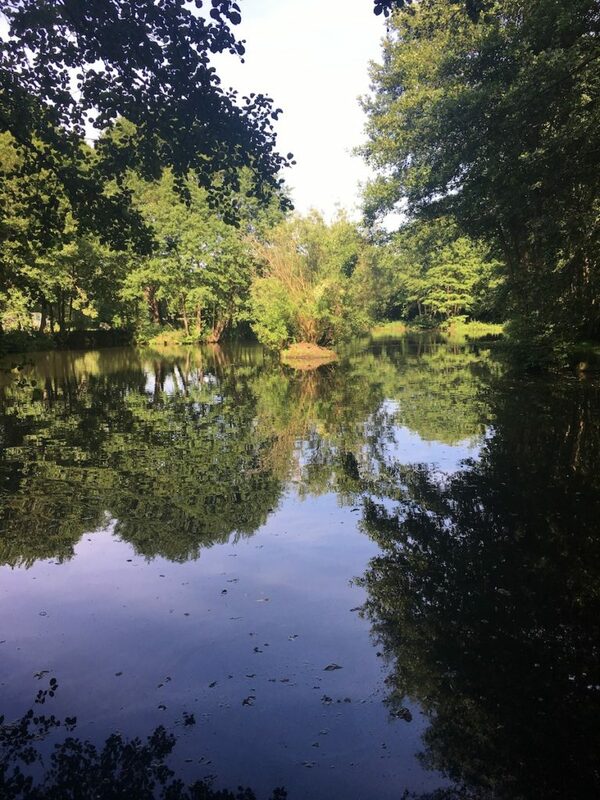 As the lake is on site we insist that all anglers report to the farm shop before fishing (unless before 9.00am where you will need to telephone to gain access) and that all gates are locked behind you to ensure your security and the security of the premises. Do not give the gate access code out to any other angler. These premises are monitored and recorded by CCTV. For all enquiries or contact please call 07766326020 or email us via our contact form on the Contact us page.